Follow us on Instagram & like us on Facebook! Full-service professional television since 1997. Universal Satellite Communications, Inc., (UniSat), offers complete turnkey services and provides superior mobile television production and mission critical transmission services throughout the Western United States. We offer the highest quality service and the most complete satellite production units in the industry at competitive rates to meet any budget. 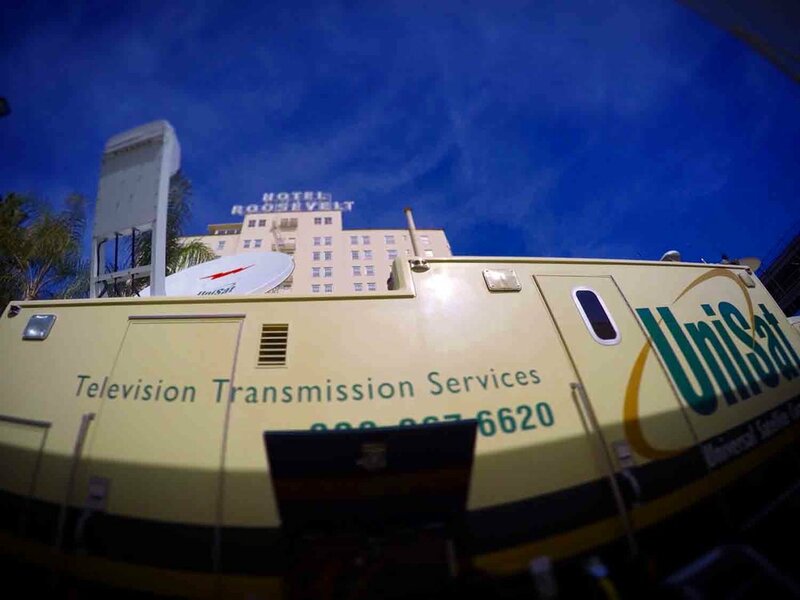 Los Angeles based UniSat, is a fully integrated supplier of television logistics, mobile production and transmission services. We offer a full range of services, including satellite uplinks, downlinks, multi-camera international live production, fiber, microwave/HD wireless cameras, digital provisions, full production, editing, ENG packages and logistical planning. UniSat delivers exceptional performance and accuracy in satellite transmission and television production. Our Fleet consists of trucks which are, on average, 40% larger than the standard. All of our equipment is exceptionally maintained, cleaned and designed to exceed client specifications. UniSat operates under a fair pricing policy. Quoted rates include all standard equipment with no add-on charges.